The UN officials have decried the Iran-backed terrorist Houthi militias after years of silence. 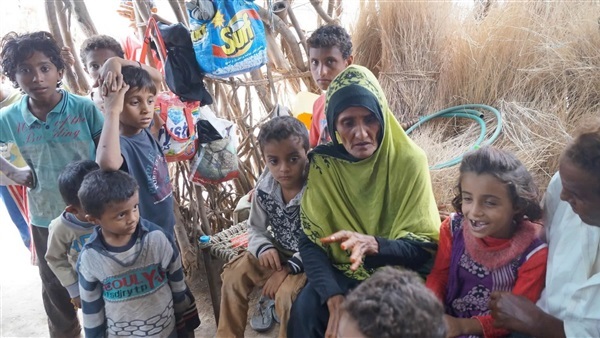 The UN officials voiced their concern over crimes against millions of Yemenis. Mark Lowcock, the UN Emergency Relief Coordinator, said that the UN could save millions of people in areas under the control of Houthi militias. “Nearly 10 million people across Yemen remain just a step away from famine,” Lowcock said. Despite pledges made by UN Special Envoy for Yemen Martin Griffith that Houthis would honor agreements, nothing has changed on the ground. Moreover, the Houthi militias, which are backed by Iran’s mullah regime, attempted to kill Dutch General Patrick Cammaert, head of a UN truce team. This is the first the UN criticizes the Houthis citing that enough grain to feed 3.7 million people for a month has sat unused and possibly spoiling in silos at the mills for more than four months. Mohamed Abbadi, a researcher on Shiite movements, believes that the Houthi militias have carried out a policy of systematic starvation to open the way for international intervention. “That will hold back the resistance forces and the Yemeni National Army under the pretext of protecting civilians,” Abbadi told THE REFERENCE. “The Houthi militias have starved hundreds of thousands of Yemeni citizens, in addition to the number of wounded and killed people. The militias are bereaving Yemeni citizens of food and humanitarian relief. The Yemeni resistance and the Arab coalition forces have freed more than 90% of Yemen from the Houthi grip,” he added. Does Islam need Islamist organizations to defend it? How the Muslim Brotherhood took advantage of Cairo’s train station accident?